French Conductor Lionel Bringuier is returning to LA to lead the Los Angeles Philharmonic with pianist Hélène Grimaud from March 28th through 31st in a program of music by Gershwin and Ravel at Disney Hall. Bringuier was named the Phil’s Assistant Conductor in 2007, becoming the youngest person ever to hold that position at age 20, and served for two years as Resident Conductor beginning in 2011. Since then, Bringuier has conducted several of the world’s major orchestras, including the London Symphony Orchestra, the Munich Philharmonic and the Cleveland Orchestra. We asked the conductor a few questions about the Philharmonic, the program and the city. LA Beat: You have a long relationship with the LA Phil; can you describe your experience with the orchestra and what it has meant to you personally and professionally? Bringuier: Well of course my 6 years with the LA Phil will stay with me forever in my life and in my heart. It’s all been very important for me personally in addition to professionally, because it was the last 2 years with Esa Pekka Salonen as Music Director and the first few years with Gustavo Dudamel as Music Director, so it was a Golden Age of the orchestra – one of the great orchestras of the US and the world. I also got to go on tour with the musicians to Asia, South America, and Europe, and created close relationships. 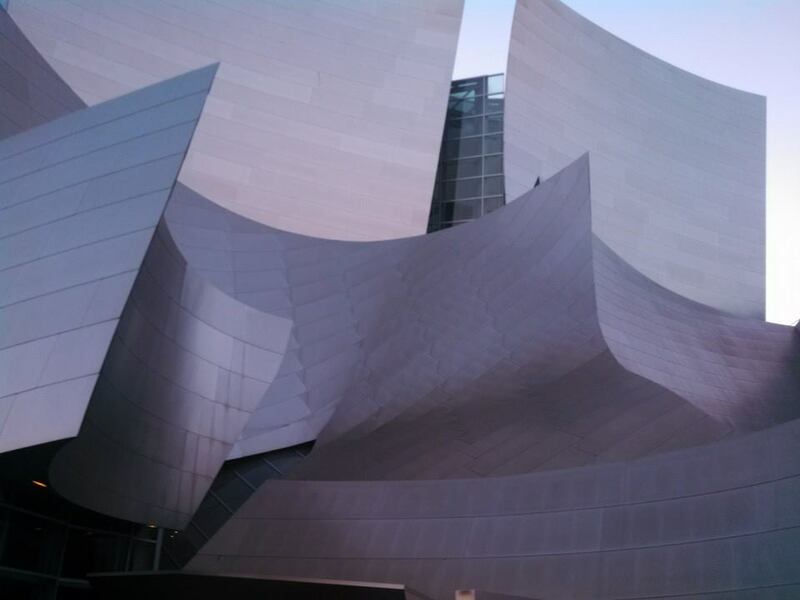 When I’m standing in front of the orchestra, I just feel at home at Disney Hall or Hollywood Bowl. You have conducted some of the world’s most prestigious orchestras, both in Europe and in America, including two of the traditional big five in Cleveland and Chicago. The profile of LA Phil seems to be continually on the improve. How do you see the Phil as an orchestra and LA as a center of classical music in comparison to other entities? To me the LA Phil is unique. It’s not only one of the top orchestras in the US, but the way they engage with the audience and the programming is most innovative. It’s clearly an orchestra of the future. They’re always in their time. They also manage to be very close with the LA community. It’s a great success for the orchestra and I’m always excited to see what they’re doing and follow them with great pleasure. The program you will be conducting offers some interesting juxtapositions. Ravel is a Frenchman who was fascinated by American music, and Gershwin put the intention of An American in Paris right in the name. Both were influenced by jazz and both would influence artists in that genre. Do these pieces speak to each other? What do they say to you, and what would you suggest that the audiences listen for? For me, it’s a very important program because I feel at home with all of the pieces. They’re all close to my heart and I’ve conducted Gershwin and Ravel very often, but it’s my first time leading Gershwin with the LA Phil. I’ve done so much great, varied repertoire with them in the past, but to be invited to conduct American music with such a great American orchestra is an honor. Ravel’s Valses nobles et sentimentales has a very light texture that is closer to chamber music. The piano concerto is very influenced by jazz. We all know that Ravel and Gershwin met and Gershwin asked Ravel for advice, to which he replied “You don’t need any advice from me, or you will just write bad Ravel. What you need to do is focus on what you know you do well, and you’ll write great Gershwin.” This was very important because Gershwin wanted to be seen as a great composer of classical music, not just of jazz or Broadway music. He managed to do this, and An American in Paris, Concerto in F, and Rhapsody in Blue were all great successes for the symphony orchestra. I do think the two musicians are very related. When I hear American in Paris, I see and hear the streets of Paris and feel very much at home. You have worked with Hélène Grimaud on a number of occasions in the past. What are your thoughts about her as a pianist and about working with her again? I have always admired her since I was a child, so when I first got to perform with her it was a great honor and joy. Over the years, we’ve become very close friends and play together at least once or twice a year. We’ve just played Beethoven’s Piano Concerto No. 4 with the Dallas Symphony, and now Ravel in four concerts in LA. I’ll see her again next year! We always enjoy meeting and discussing life and music. Last, what are some of your favorite things to do in Los Angeles? Do you have any particular routines? Favorite restaurants and places to go? Oh, yes. It’s a city where I lived, so I really got to know many different areas and have some friends in the city. I love to go to the beach because it reminds me of my hometown in Nice, France. I also love the area of Los Feliz, particularly a French restaurant called Figaro. The restaurants that have opened up near Disney Hall are very good, and I like to go between or after rehearsals. Very often, we go after the concert to Patina and are never disappointed. Gershwin and Ravel. The Los Angeles Philharmonic featuring Hélène Grimaud, conducted by Lionel Bringuier. Walt Disney Concert Hall, 111 S Grand Ave, Los Angeles, CA 90012. (323) 850-2000. Thursday, March 28 & Friday March 29, 8:00 pm. Saturday March 30 & Sunday, March 31, 2:00 pm. Tickets and more information at the LA Phil’s website. This entry was posted in Events, Interviews, Miscellanious, Music. Bookmark the permalink.